The geoelectric model of underground water objects is constructed in this work. The ecological condition of superficial and underground water objects can be estimated in real time by means of the systems of geoelectric control constructed on the basis of multipole electric systems. The constructed model is based on the analysis of transfer function of the geoelectric cut represented in the form of consistently connected RC-circuits. Change of transfer function values testifies to change of a chemical composition or a hydrodynamic mode of aeration zone and the first water-bearing horizon. The assessment of layers parameters – specific resistance and specific dielectric permeability – is made by means of the specialized algorithms applied to these purposes in geophysics. The presented geoelectric model is intended for further application in the system of environmental monitoring constructed on the basis of the geoelectric probing methods. Hydrogeology. Ed. V.M. Shestakov, M.S. Orlov. 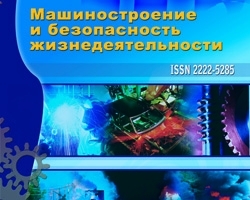 – M: MoscowStateUniversity Press, 1984 – 317 p.
Waite J.R. Geoelektromagnetizm. – M: Nedra, 1987. – 235 p.
Kuzichkin O.R. Data processing algorithms in the multi-polar electro radar systems // Radio Engineering, 2007, № 6. – P. 60-63. Kuzichkin O.R. The algorithm for generating the optimal probing radar signals in electric monitoring // Radio Engineering, 2006, № 6. – P. 119-122. Kuzichkin O.R., Tsaplev A.V. Polarization characteristics of electromagnetic radar signals and analysis in Geomonitoring system // Radio Engineering, 2006, № 11. – P. 86-90. Dorofeev N.V., Geoelectric modeling underground water objects, №4 (14) 2012, Orekhov A.A.